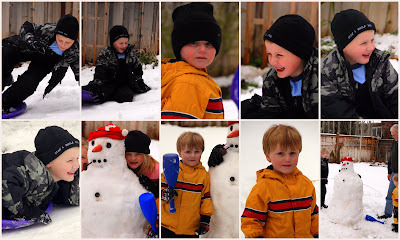 We had a lot of fun playing the April snow day. 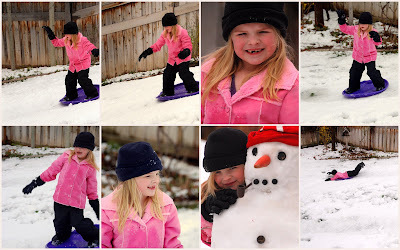 The kids went sledding and Jade worked on snowboarding. Ivy didn't really want to play outside, so she stayed inside and made Zachary giggle. Jade and the boys made a snowman at my parents. They had a blast and didn't want to come in for hot chocolate.